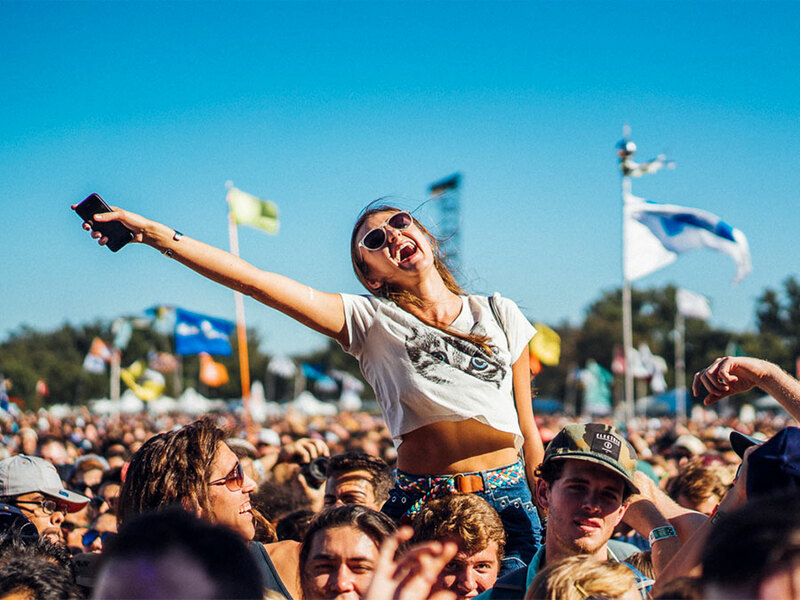 The world's best music festivals span Glastonbury, Tomorrowland, Coachella, Primavera Sound, UMF and many more, across the continents of Europe, North America, South America, Africa and Asia. Whatever your genre – EDM, rock, hip hop, pop or metal – there's something tailor-made for everyone. Here are the 50 best on the planet right now, in no particular order. 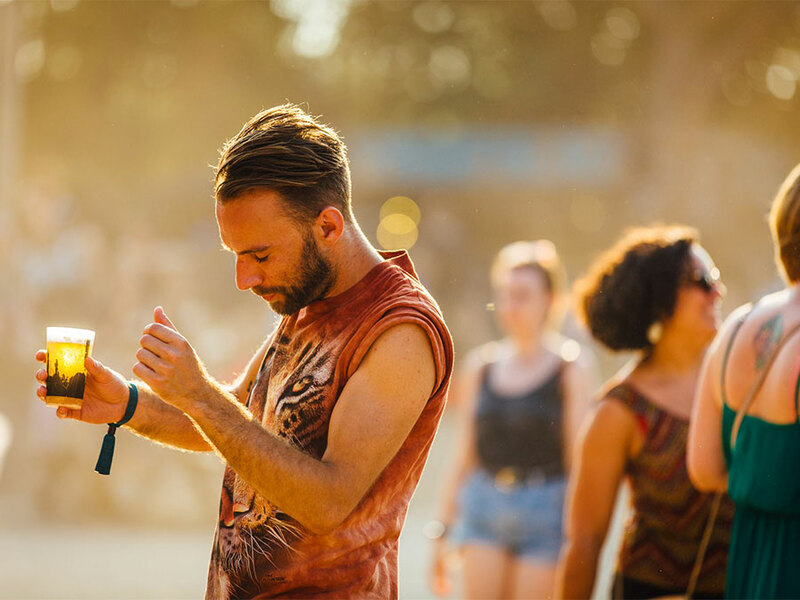 A hive of forward-thinking electronic music, Dekmantel has cemented itself as the festival of choice for those looking to experience new trends. It's a brand that steers clear of headline grabbing names and gimmicks, instead encouraging and rewarding risk-taking. 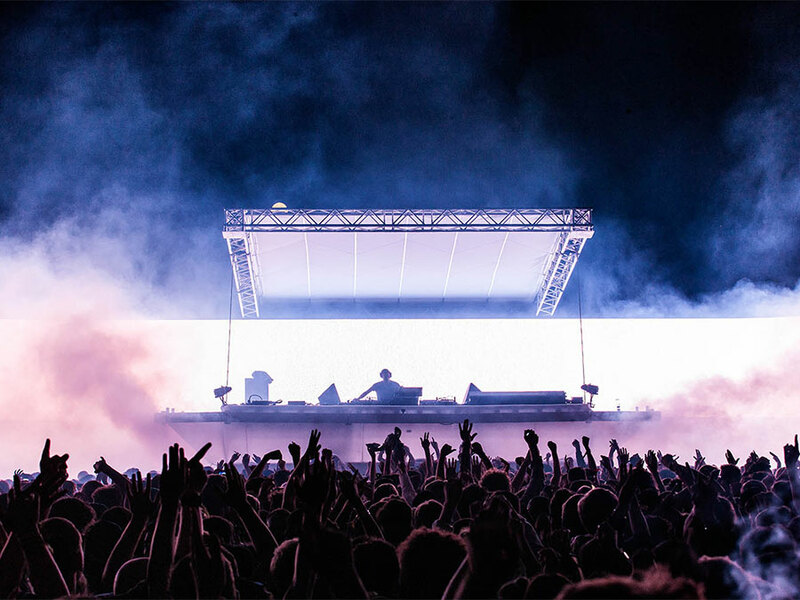 As a result, Dekmantel has become many DJs' favourite festival to play. It should come as no surprise to see the jewel in Barcelona's crown on this list. 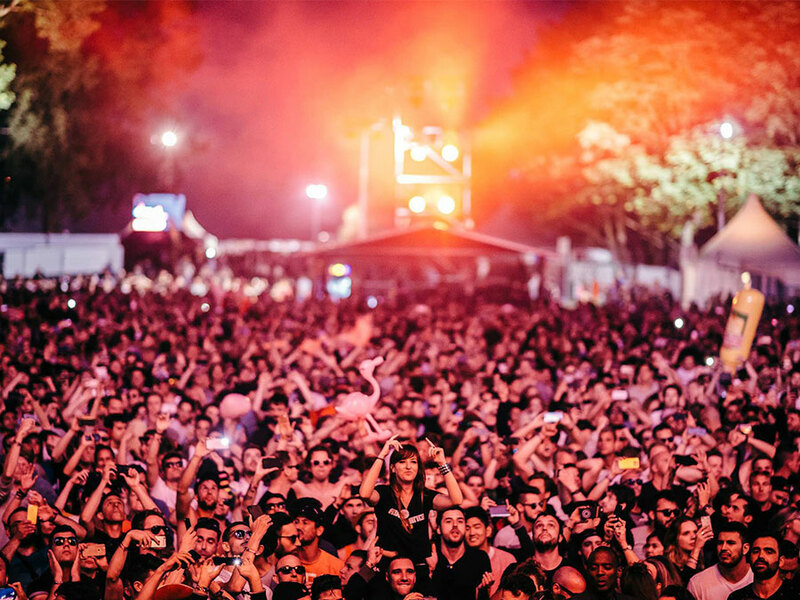 Year after year the festival pulls together an incredible lineup unencumbered by genre boundaries, uniting alternative favourites and discerning music fans from across the globe in the beachside Parc del Fòrum. Let It Roll is pretty much the mothership of drum and bass music. A former military airbase outside of Prague might sound like the perfect place for 4 days and 9 spectacular stages at 170bpm. And that would be because it is. Is there really anything we could tell you about Coachella that you don't already know? It's a great big melting pot (California in April is more than hot enough) of fashion, A-list music, giant art structures and super grammable moments wherever you look. 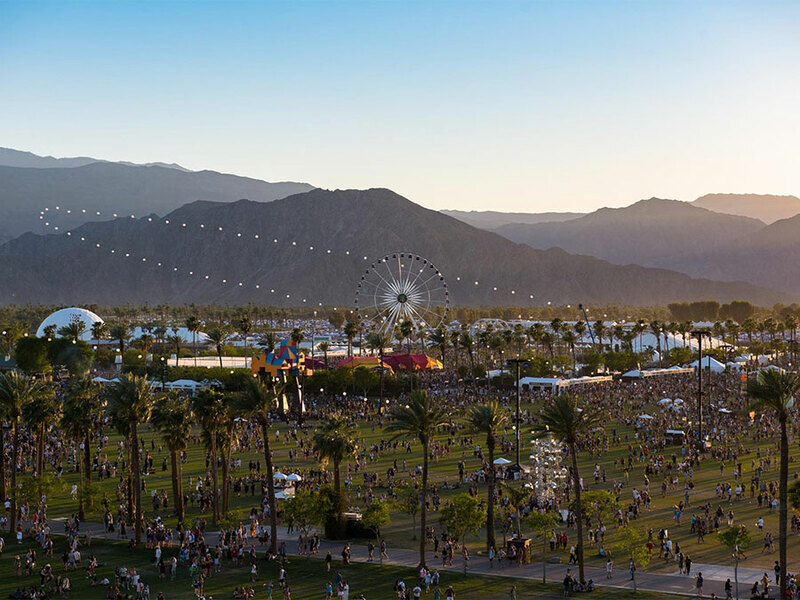 If this list were numbered, Coachella would definitely be circling the top spot. 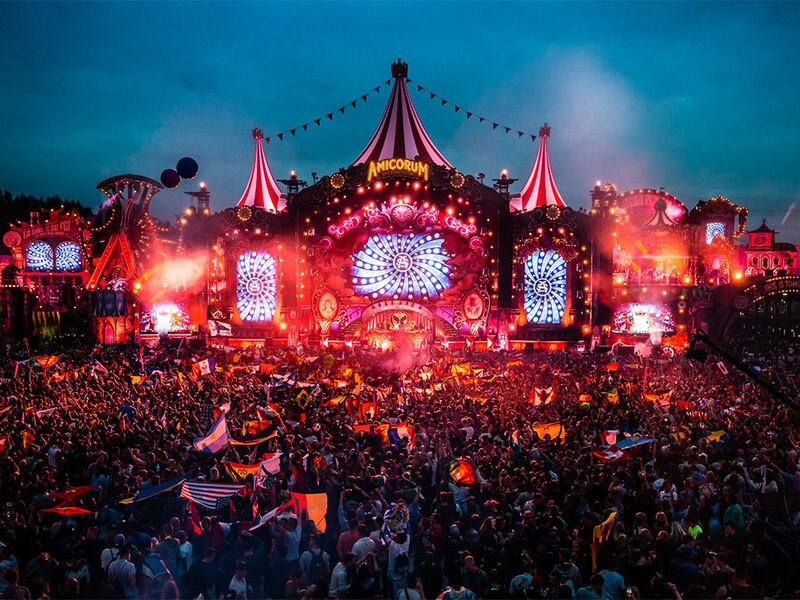 13 years after its debut, and the competition from other dance festival heavyweights is stronger than ever – but Tomorrowland is still holding its own as the leader of the pack. Other than each year's huge main stage designs, and lineups that consistently feature almost every DJ you've ever heard of, the real power of Tomorrowland is in the small details, finely tuned to create an all-consuming sense of magic. Spawned from the legendary Monsters of Rock in 2003, Download Festival has been the yardstick for rock and heavy metal festivals worldwide since day one. 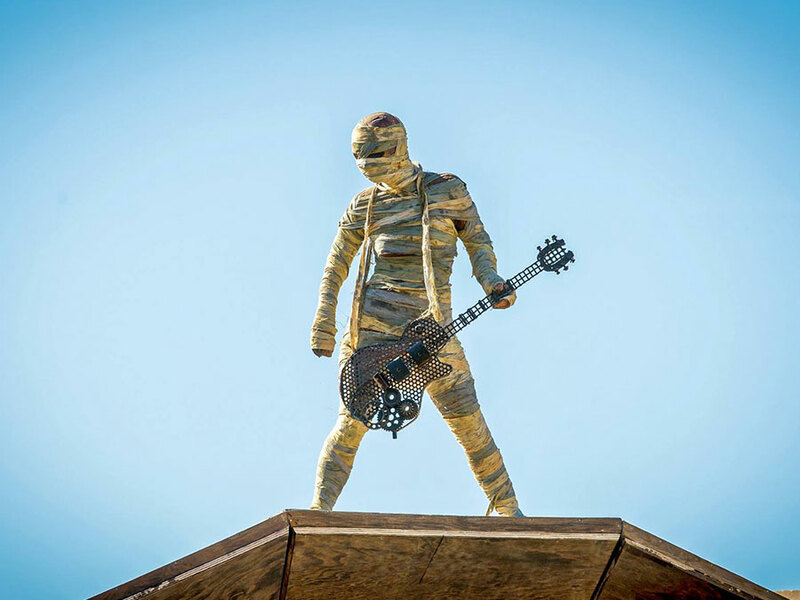 The lineup is hotly debated by Download devotees every year, but the festival's popularity and importance don't look like waning any time soon. MITM is a world away from big lineups and heaving crowds. Way up in the Rhodope Mountains, the dream is a stunningly serene mix of sustainability, community atmosphere and awe-inspiring escapism. Held every year since 1967, there is no older festival on this list. What's more, few others anywhere in the world can boast such an impressive alumnus of previous performers, from Miles Davis, B.B. King and Nina Simone through to David Bowie, Bob Dylan and Queen. To this day the Lake Geneva shoreline is a hub for creative talent from across the globe, performing in venues throughout the Swiss city. 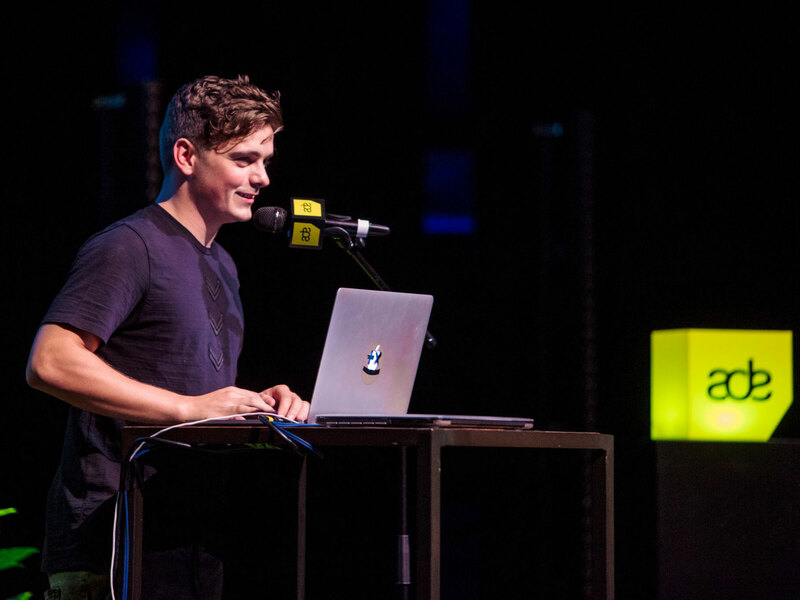 ADE is one of those festival giants that a lot of people won't have heard of, particularly if they're not into electronic music. 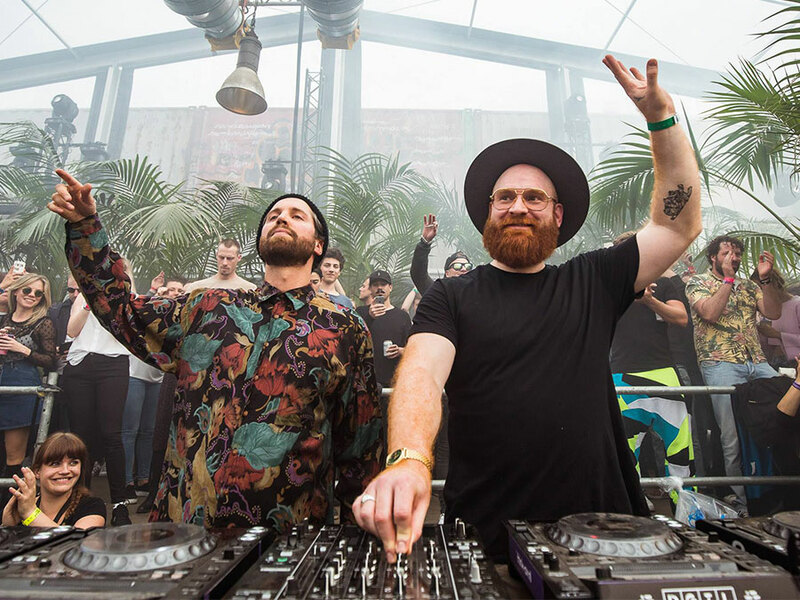 But for five days each October, the entirety of the dance music industry descends on Amsterdam's music venues, conference halls, bars and streets, bringing with it huge showcases, panel talks, technology demos and fully-fledged festivals. Amsterdam Music Festival is probably the biggest, while DGTL, Dockyard and Paradise are among the brands that are always heavily involved. 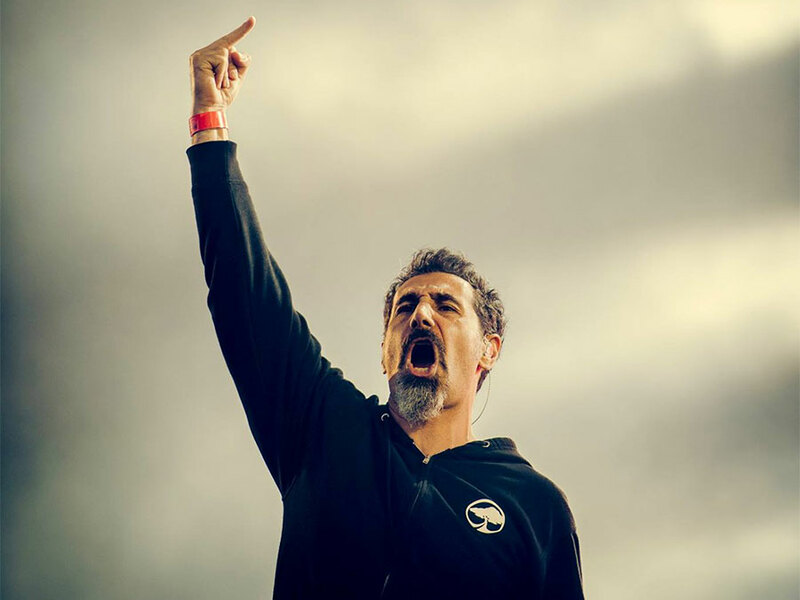 Hellfest claws its way from extreme metal to punk rock, passing by every gnarled and innovative sub-genre in between. Other than maybe the UK's Download Festival, its pace-setting high-point of the metal and rock calendar has no close competition. 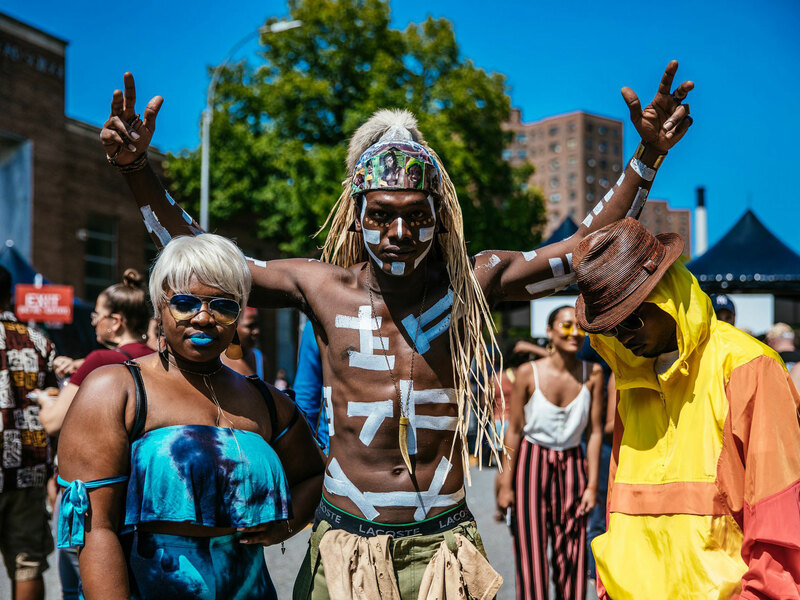 Starting out as a DIY movement in the US, as a response to feeling like an outsider and desiring a sense of belonging, AFROPUNK is now one of the world's most famous cultural movements. Its mix of art, activism and music now attracts up to 60,000 people and spreads its message in cities around the globe, celebrating black culture and giving community to those who feel marginalised in modern western societies. Rival to Panorama, Gov. Ball was the original Randall's Island festival, giving NYC its first marquee music festival. Heading into an eighth year in 2018, the island will once again become alive with some of the most influential names in hip-hop, rock and electronic music, all set out against the backdrop of the city's iconic skyline. 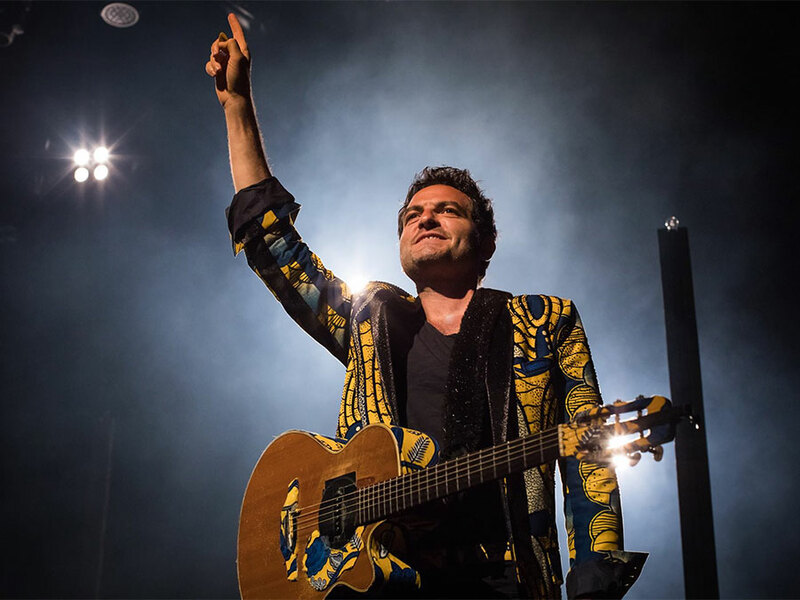 One of the biggest festivals that France has to offer, Les Eurockéennes is not known simply for its rich history and consistently strong lineups, but also for its longstanding links to charitable and community causes. What's more, you'd be hard pushed to find many more naturally beautiful settings than the lakeside nature reserve that it calls home. The world’s biggest new music showcase festival is like a Rorschach test: with 1000+ artists performing over a week, it means something different to everyone (and if you’re taking it on, you’re probably a bit crazy). 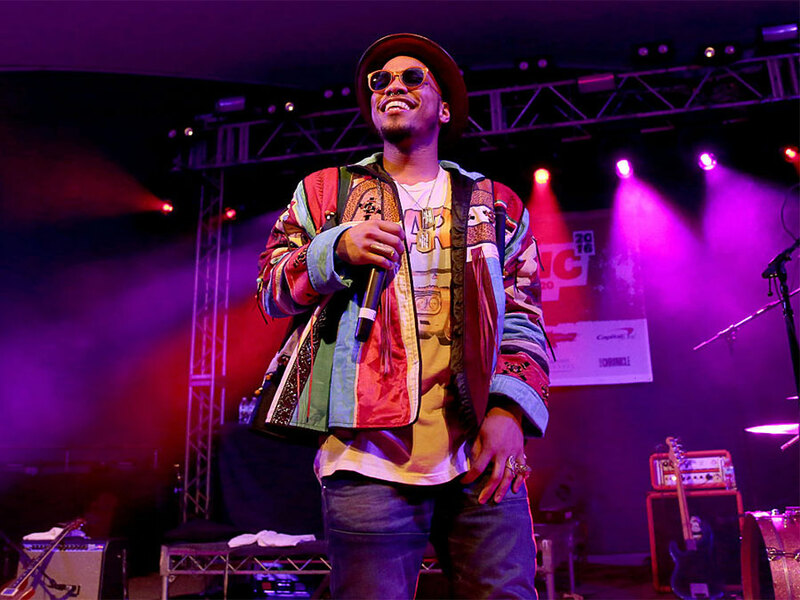 SXSW turns Austin into a musical playground, with shows crammed into every nook and cranny in the city. It’s an experience like no other. Like Dekmantel, the Sónar brand has become a byword for experimental and pioneering electronic music. Despite editions in cities as far apart as Hong Hong and Reykjavík, Barcelona is still its flagship event, turning the coastal city into a hub of creativity every June. 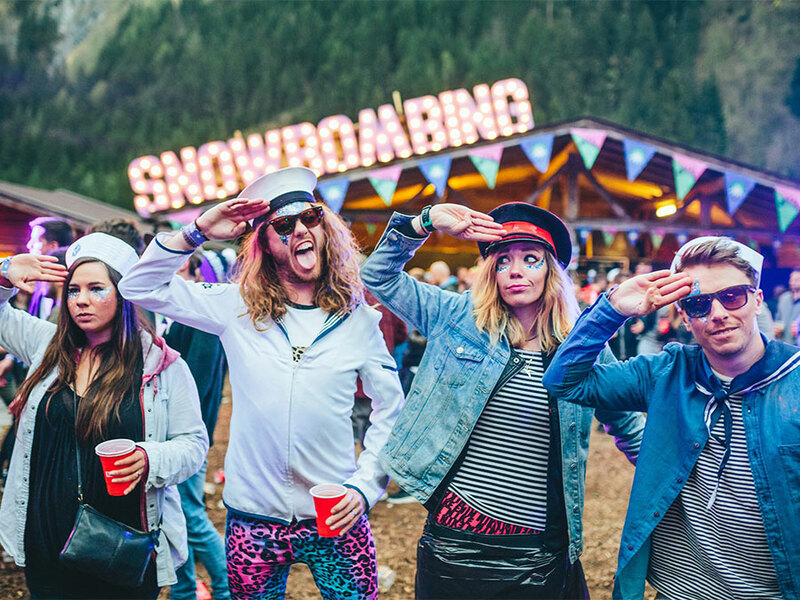 If skiing by day and dancing by night is your thing, there are plenty of snow sports festival options in Europe, but none with quite the same clout as Snowbombing. An avalanche of outdoor and indoor venues hosts the most impressively A-list lineup you'll find on the slopes, and the crowd can be relied upon to lay on everything from bright pink snowsuits to group-coordinated fancy dress. 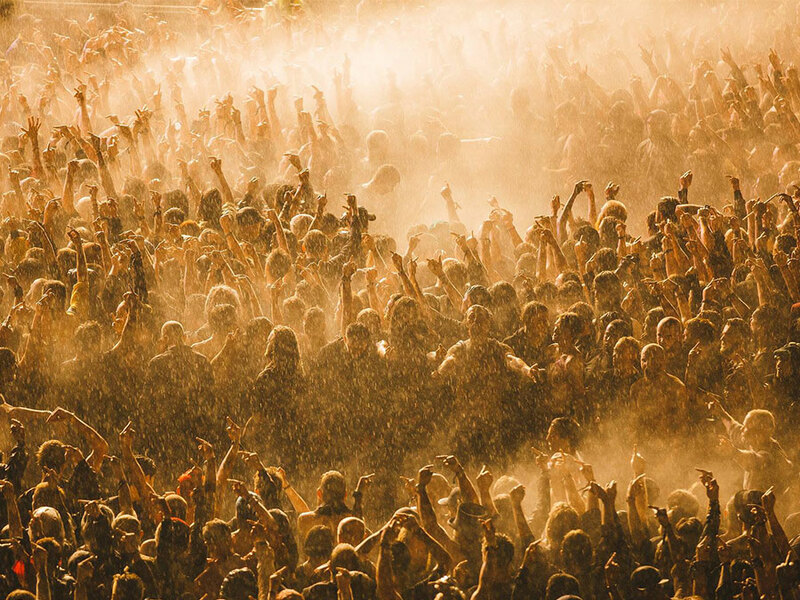 Australia's answer to Glastonbury, Splendour in the Grass is all about huge, diverse lineups minus the rain, mud and trekking. And who doesn't fancy that? 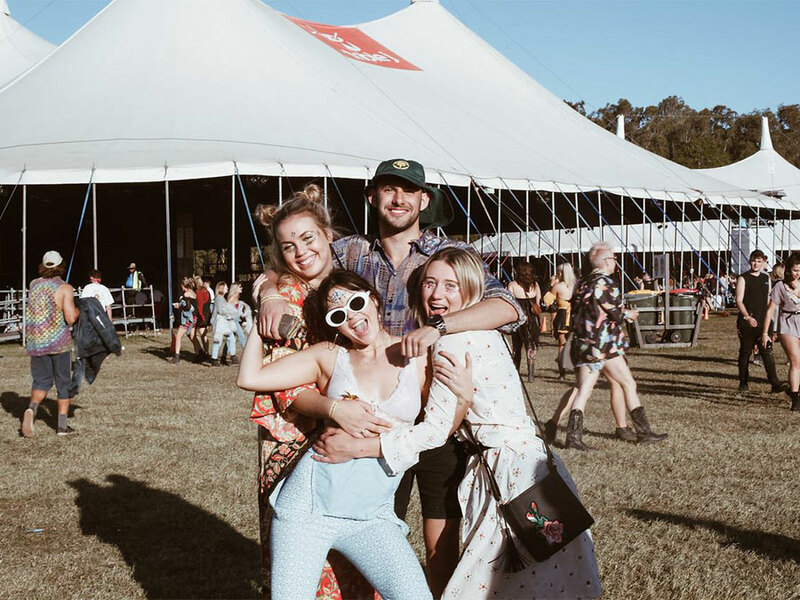 Beyond the music, Splendour also lays out a programme of dance and circus workshops, art installations and a range of food and craft markets. Despite only being a few years old, Mad Cool has risen at such a rate that it's impossible to ignore. Its lineups now read like the rock 'n' roll hall of fame, where legitimate headline acts fill most of the poster. But who's complaining when you can merge from Kasabian into Tame Impala into Pearl Jam... in the space of one night? Our pick for the world's best harder styles music festival, Q-base's world famous 14-stage, 250-artist, 80,000-capacity party will have you racing through the BPMs all the way to Monday morning. 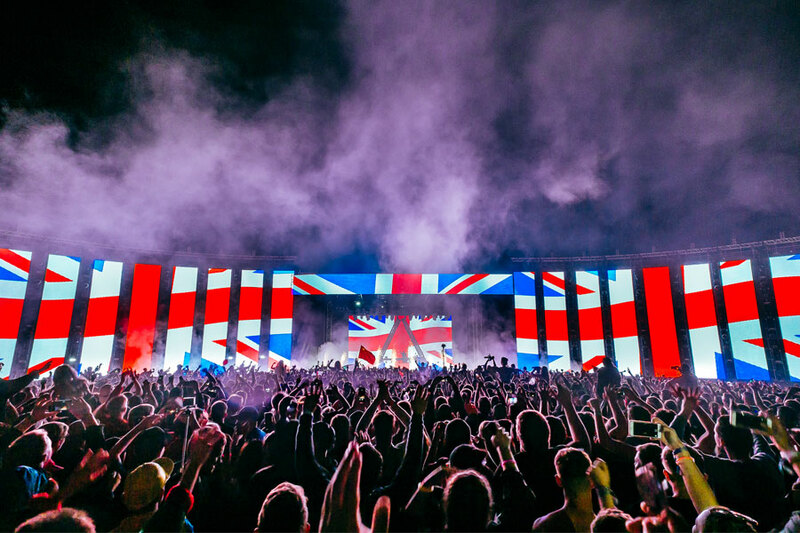 The flagship festival of the iconic Cream brand, which became famous through its legendary Liverpool club nights back in the 90s, Creamfields is the UK's premier electronic music weekend. 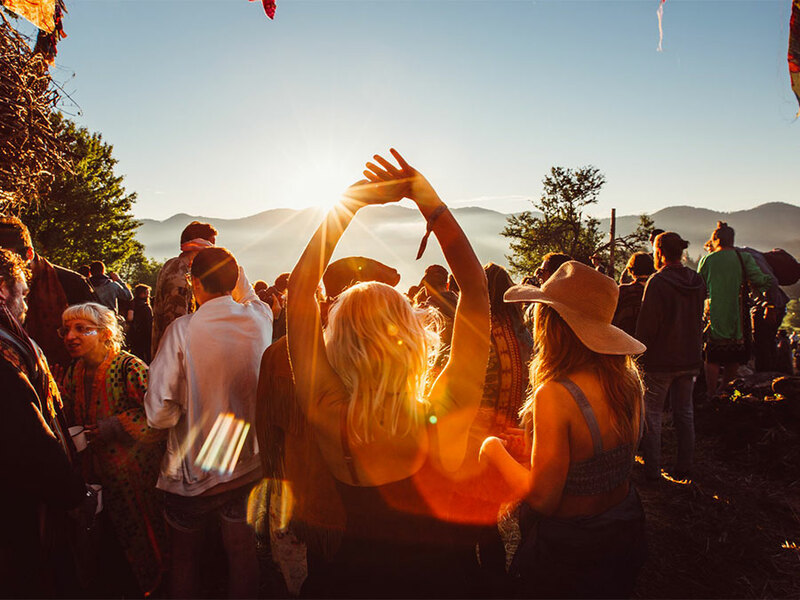 Attracting over 70,000 people and over 300 of the world's hottest dance acts performing across 30 stages over the 4 day weekend, its lineups are as diverse as they are top-tier. 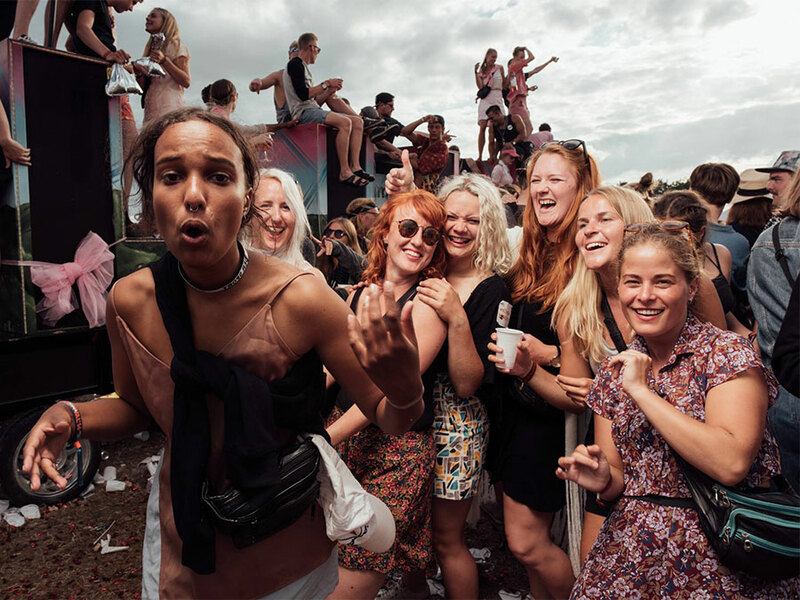 One of the largest music festivals in Europe, Roskilde dates back to 1971 when two high school kids decided to emulate hippy festivals like Isle of Wight and Woodstock. Fast-forward to the present and you’ve got a fiercely independent, well-respected festival with its own aura and traditions continuing to host performances by the most uncompromising and influential artists in the world. 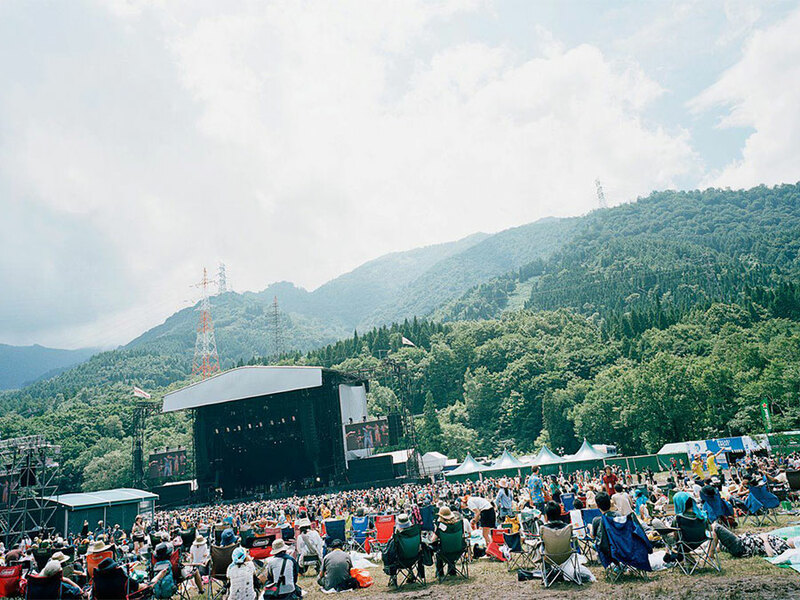 Despite the name, Fuji Rock hasn't actually been held at Mount Fuji for more than 20 years. But that hasn't stopped crowds topping 100,000 from making their way to the Japanese giant for two decades. And when the lineup and location are this spectacular, who can blame them? 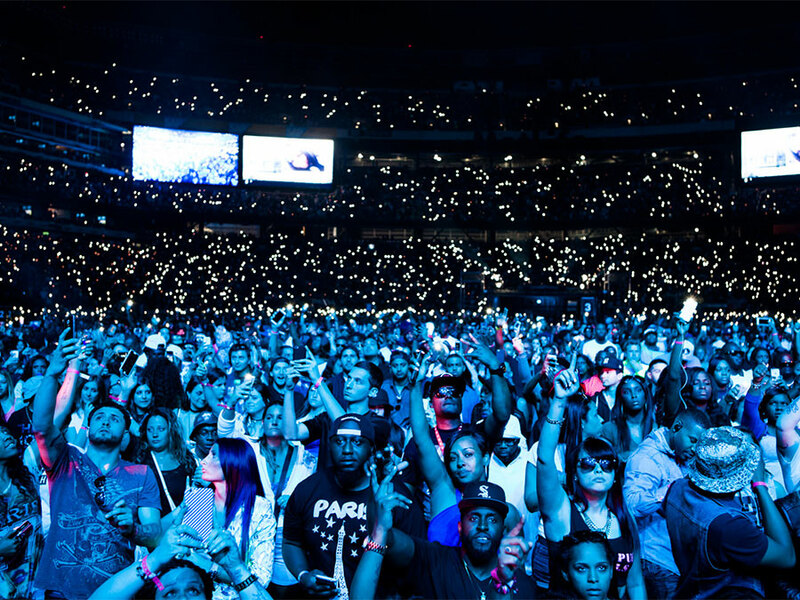 No festival has been more integral to the development of hip hop than Hot 97 Summer Jam. Giving a platform to the freshest names, as well as providing fans with an opportunity to see the superheroes of rap, the festival has hosted its fair share of classic moments, with performers bringing out huge special guests having become the norm. Anyone who’s anyone has played Summer Jam. Ferropolis sounds like a Marvel city where at least one superhuman fights aliens and the mafia, possibly with a cape. But – I know right – it's not. 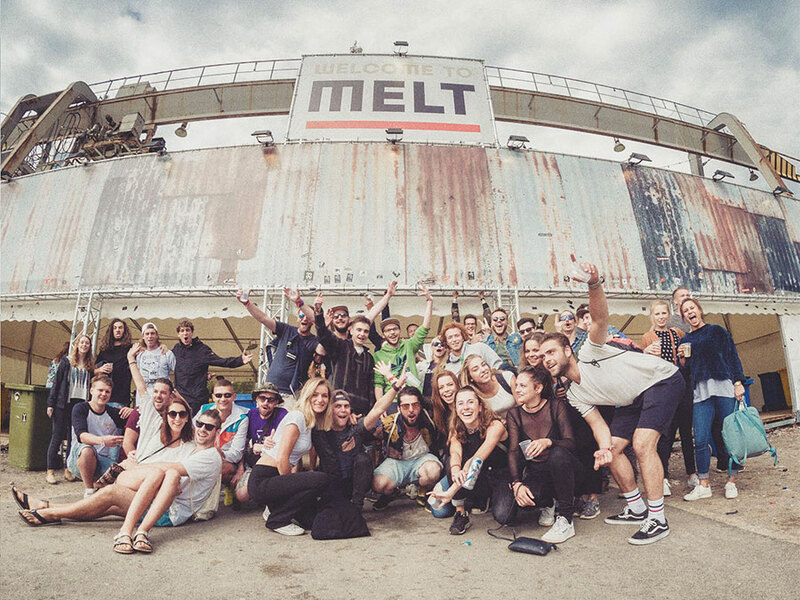 Melt Festival is one of Europe's stand-out names (even since it lost the '!' on the end of Melt! a few years ago) for its incredible lineups, 24-hour stages, and the seriously imposing cranes of the old ironworks that is its home. 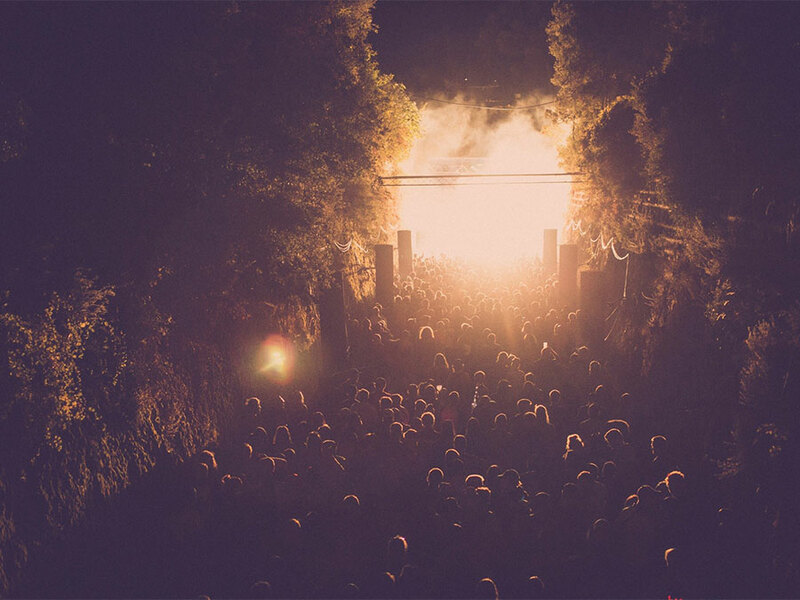 Other than Dekmantel, it's hard to think of many underground electronic music festivals as widely respected by everyone in the scene as Lyon's Nuits Sonores. Each year, a selection of forward-thinking artists are invited to be guest curators, and their careful crafting of the lineup means the festival never falls into the pitfalls of predictability or repetition that plague so many similar festivals. 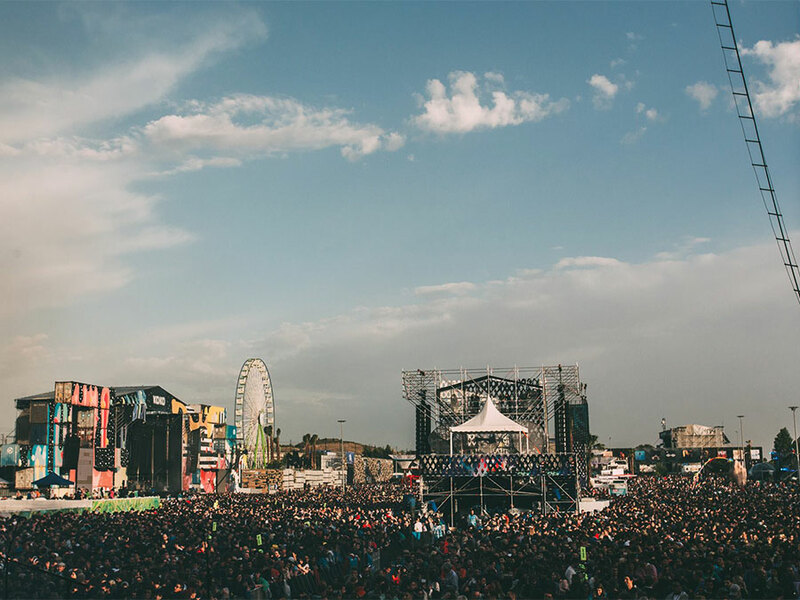 Rock am Ring, at 33 years old, is one of the longest-standing festivals in the world. And its younger sister, the 22-year-old Rock im Park, is no youngster either. With shared lineups between Nuremberg and the iconic Nürburgring, they've built up peerless reputations in the rock music world. 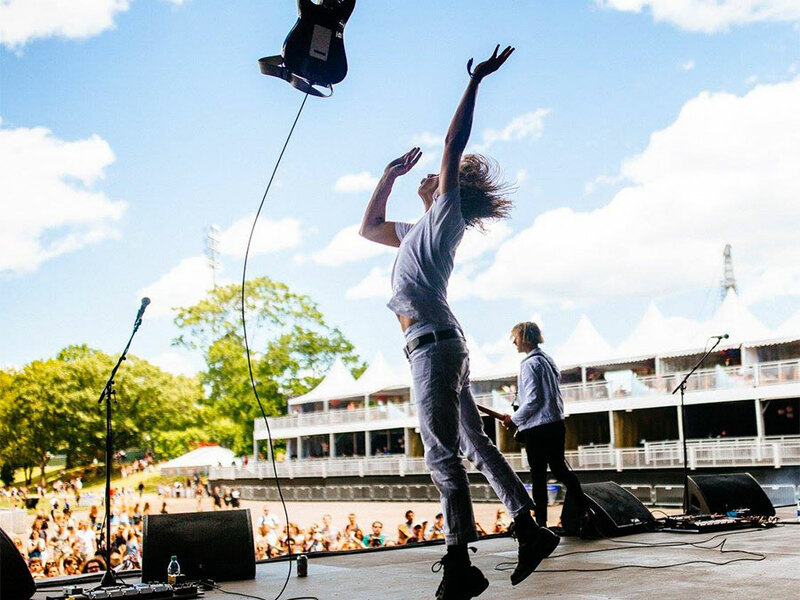 Heading into its 20th edition this year, Iceland Airwaves is getting back to basics. 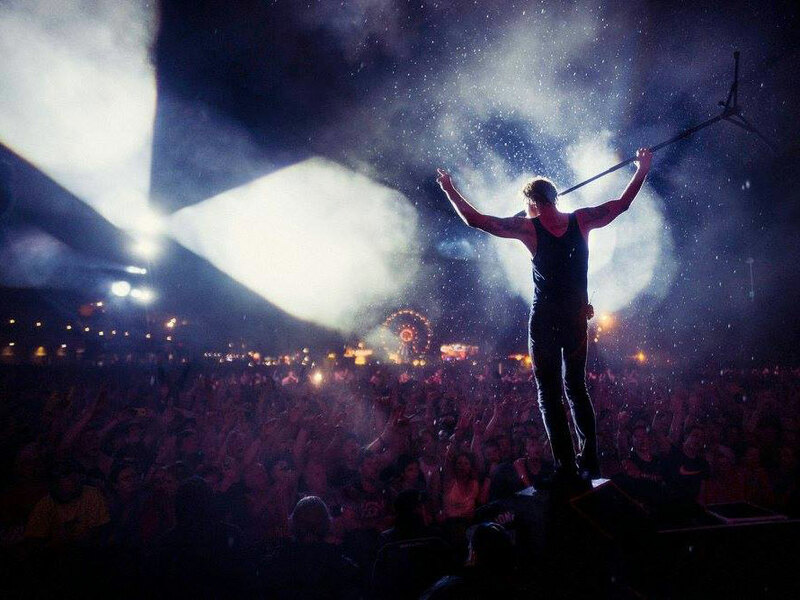 Everything from lagoons and bookstores to bars and concert halls is filled up with music, and the festival scours the planet to find only the best up-and-coming and genre-bending talent. Plus, the impossibly musical city of Reykjavík is the perfect setting for this artistry-above-all-else showcase festival. For some people, online music publication Pitchfork has become gospel when it comes to identifying musical trends and talent. 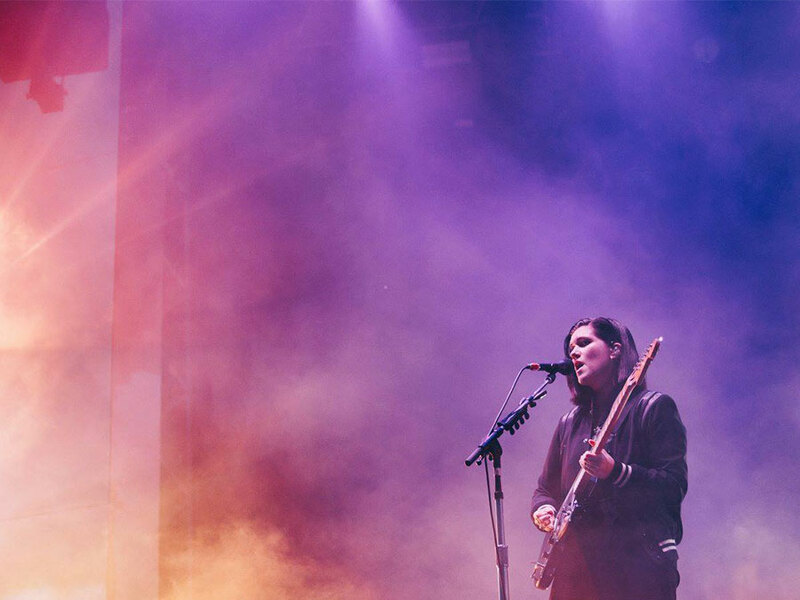 Regardless of any perceptions you may have of the site or its most devout followers (*cough* posey hipsters *cough*), there's no denying they know how to curate a lineup of the most exciting alternative acts in the world. Even if you 100% mean it, describing a festival as 'totally unique' usually just sounds like lazy writing. 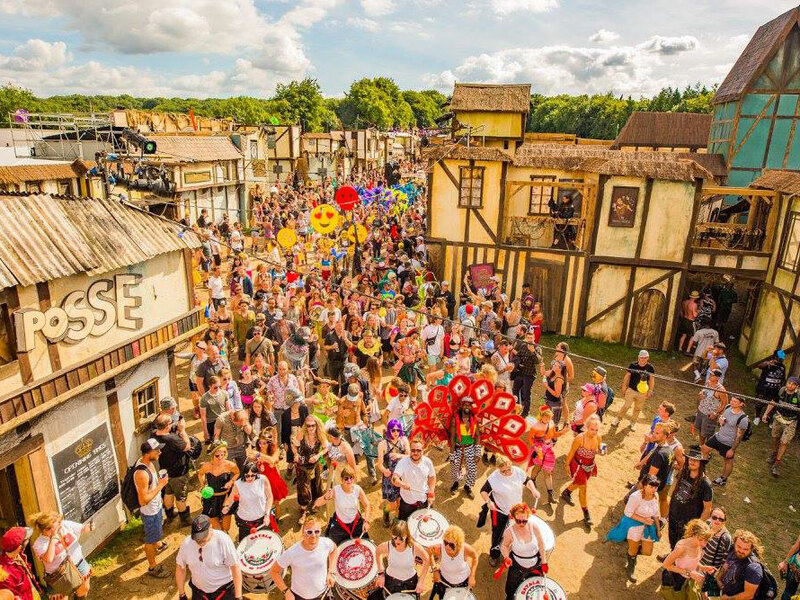 But in the case of Boomtown – a throwback carnival of music and street performance set in a purpose-built wild-west town in the English countryside – the phrase is as justified as it'll ever be. Belgium's Dour Festival has all the hallmarks of the 'archetypal' music festival: an expansive multi-genre lineup, a vast green site, and attendance figures well into the hundreds of thousands. 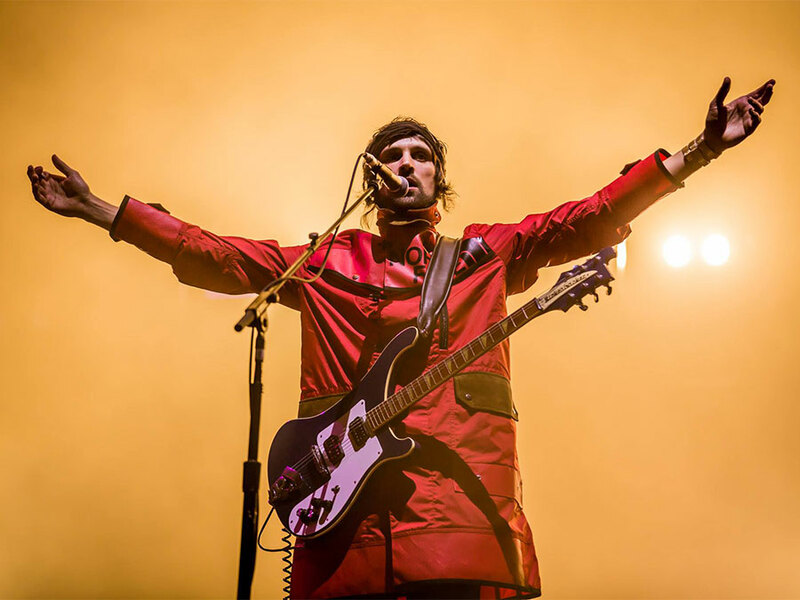 Calling it the 'Belgian Glastonbury' may seem a little clichéd, but the reality is such that favourable comparisons to the British icon are not without cause. 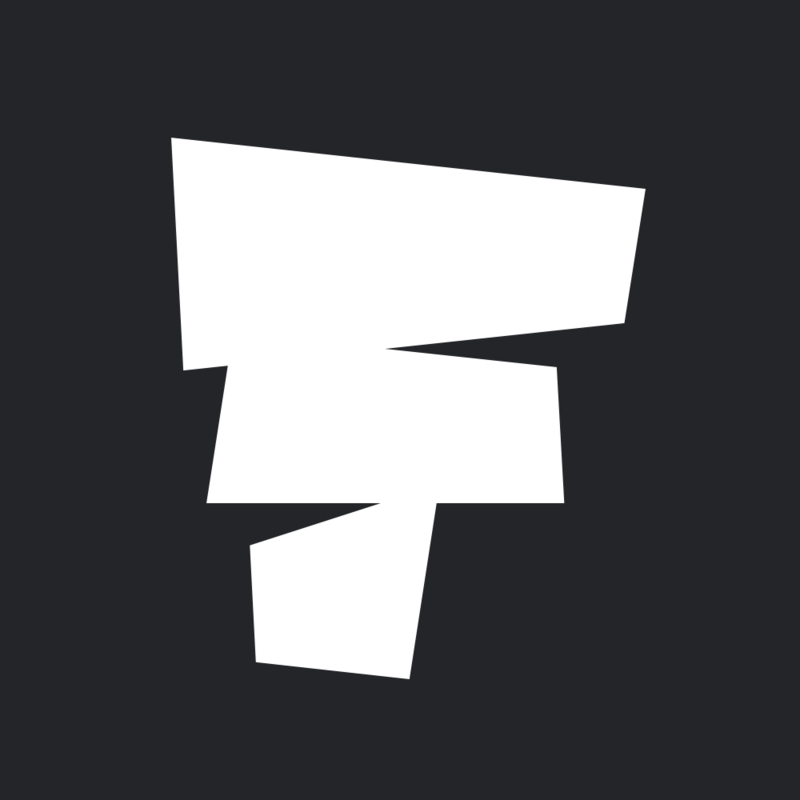 19 hours from start to finish, Time Warp is a high-power shot of techno, stuck straight in your arm as you're still trying to figure out how to get round 6 rooms and every one of your favourite DJ/producers. Since Germany's early days of 90s rave culture, Time Warp has carried the beacon for second-stage techno parties like no one else. 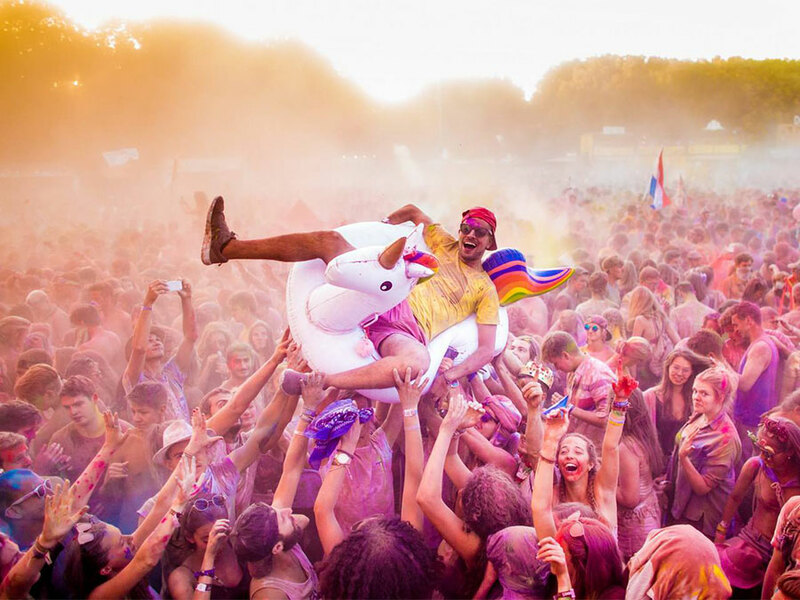 There aren’t too many festivals that have their own island, but Sziget isn’t most festivals. 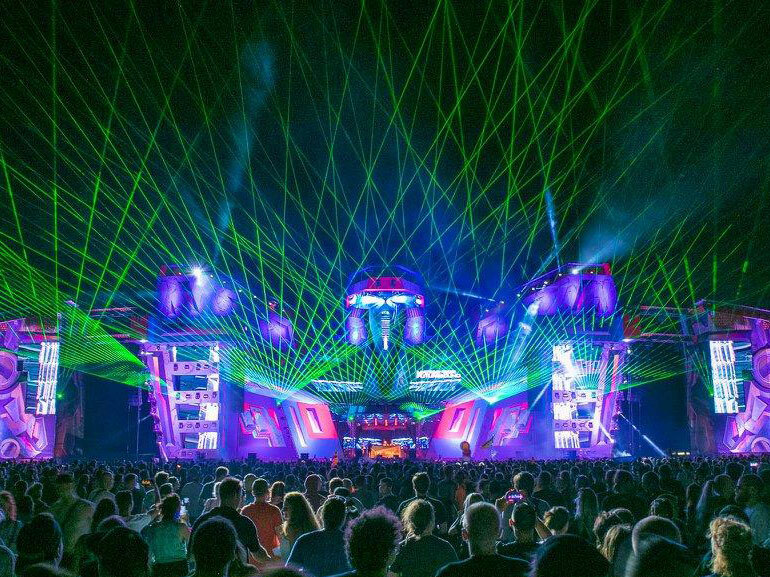 The week-long behemoth set on Obuda Island between Buda and Pest has everything you could ever want in a festival, and more of it than you’d ever need. Offering the biggest names across all genres, this festival is the real life, 3D equivalent of your favourite streaming service. 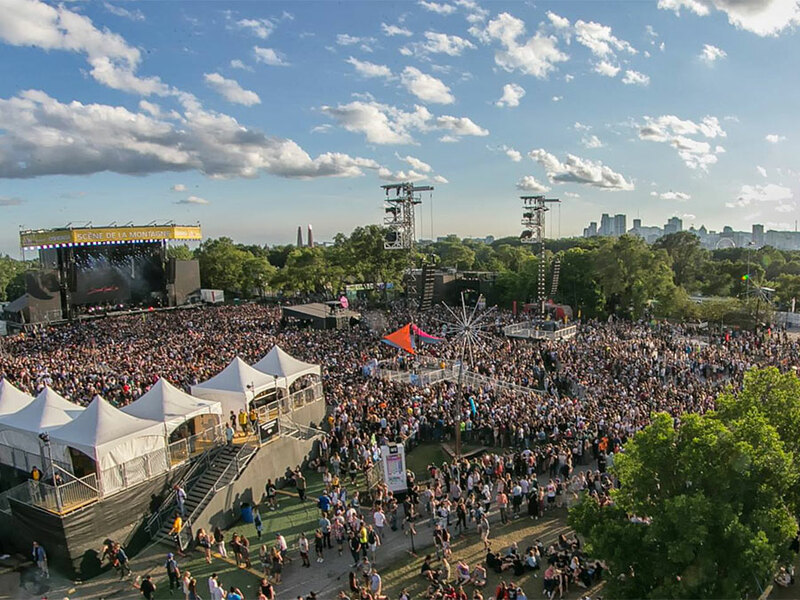 While some might argue with the assertion, we feel fairly comfortable in saying that Osheaga is the best music festival that Canada has to offer. 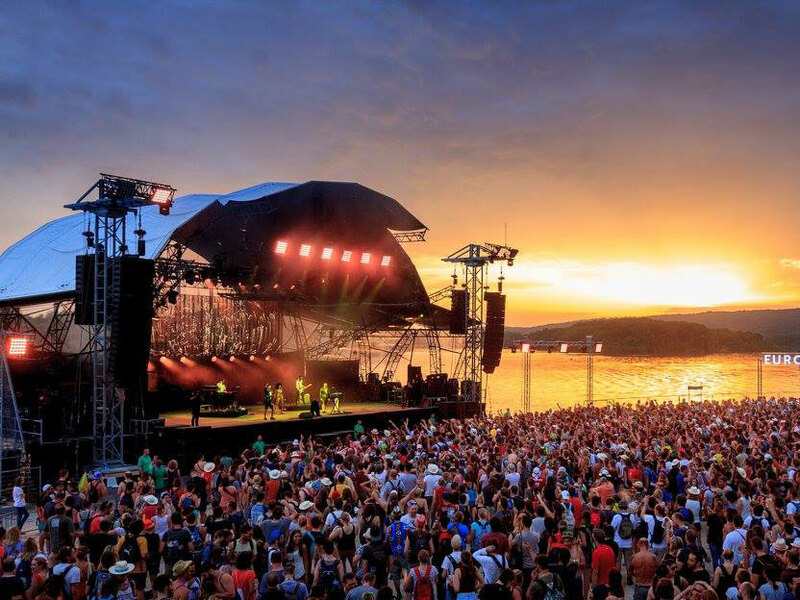 Held on an island in the middle of Montreal's St Lawrence river, the huge three-day affair is a multi-genre extravaganza featuring some of the world's very biggest acts. 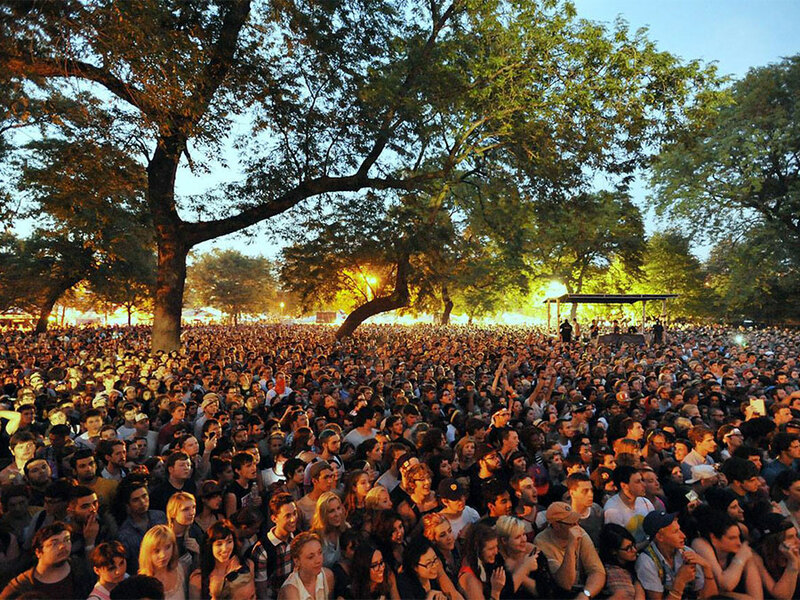 Originally conceived as a farewell tour for Jane's Addiction by frontman Perry Farrell, Lollapalooza has since gone on to become a global festival empire. 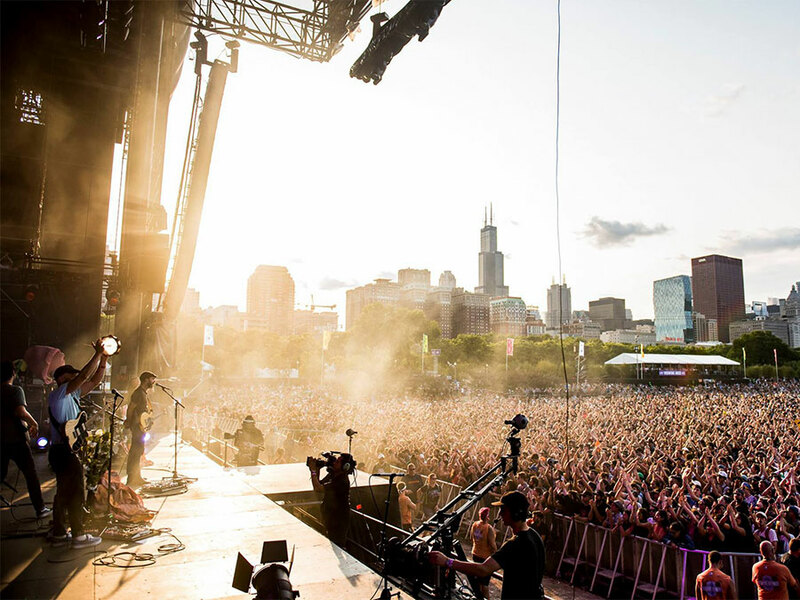 Both the flagship event in Chicago and the satellites spread across South America and Europe now play host to enormous lineups that span rock, pop, rap, EDM and more, on an almost unparalleled scale. Ok, so we must admit we're not overly enamoured by the Reading and Leeds 2018 lineup. But that's because it's a truly legendary UK festival duo, which means we hold it to a higher account than most. Look deeper though and there are still some great bands and artists on the bill, so we don't feel the hate is entirely justified. And let's be honest, have you ever had a terrible R&L? The best festivals have a good backstory, and Gagnef is no different. Starting as a 30th birthday party, the group of friends just kept coming back each year with more and more people. 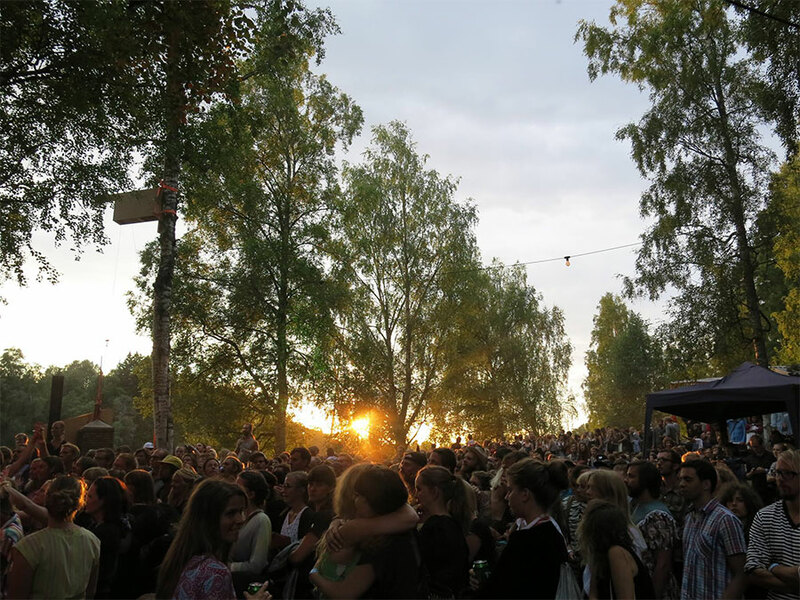 Set in the woods along the Dalälven river, this boutique festival is like a mystical gathering you’d find in an Elizabethan tale. 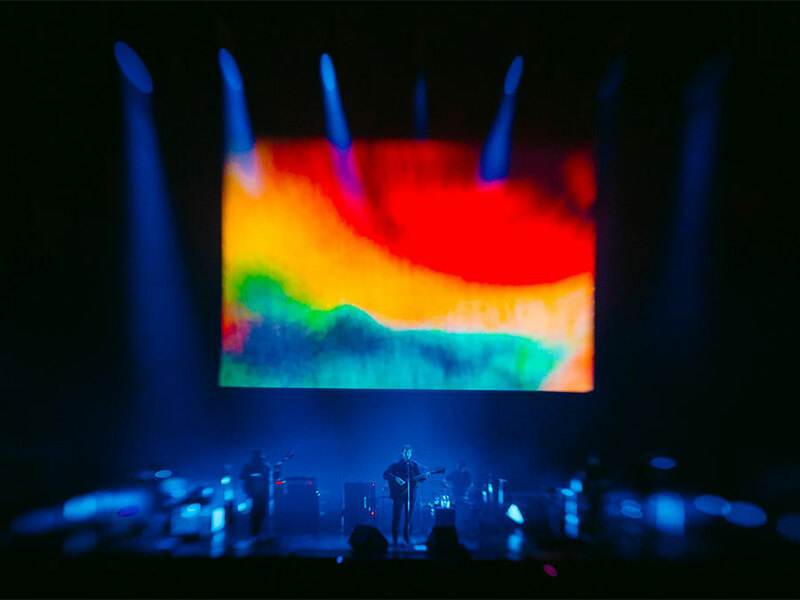 Growing out of the institutional public television music program of the same name, Austin City Limits is two weekends of the most respected names across a wide range of genres. Bringing local tastes into its lineup curation, the festival is one of the only to meld the rock, hip hop and electronic world with the somewhat insular Americana world, giving it a unique flair. 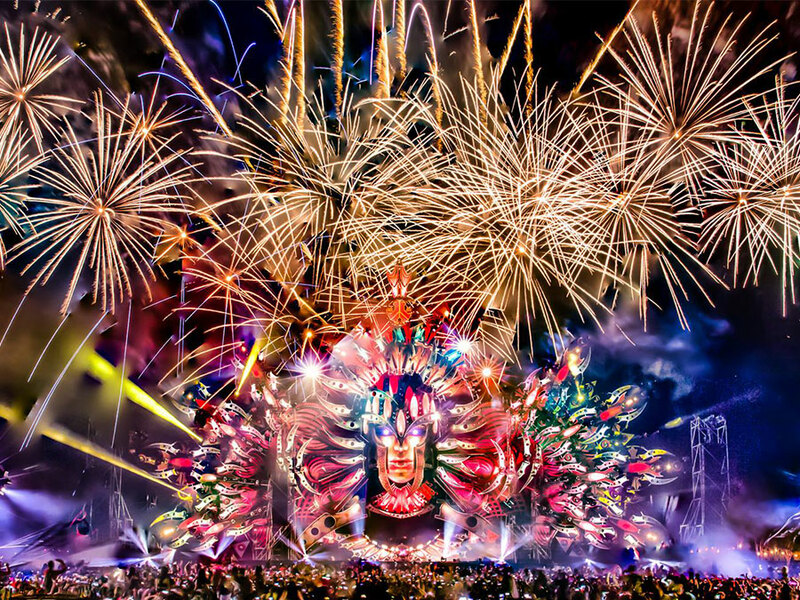 Electronic music fans take note: Mysteryland is the original Dutch multi-genre electronic music festival. Started in 1993, the beats are still bumping across 17 stages ranging from intimate to the opposite. 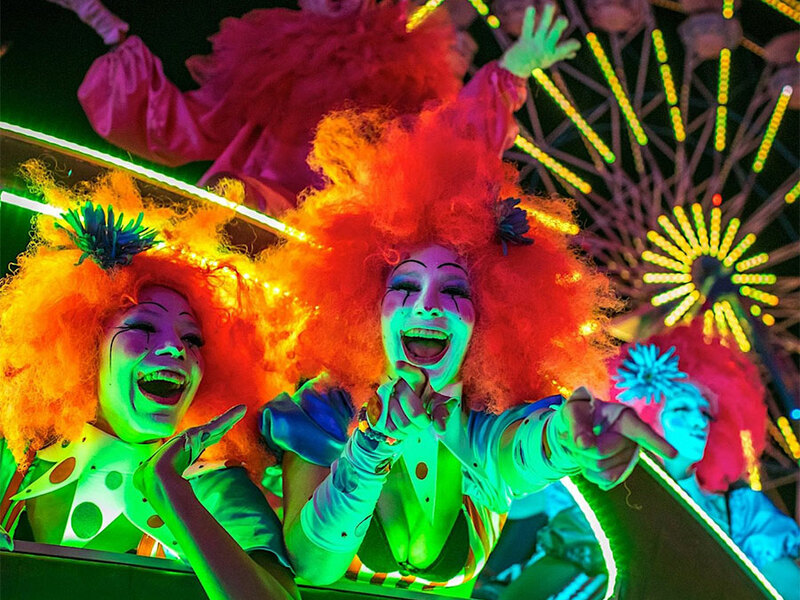 It's easier to understand the festival as this: Mysteryland is like taking all the other amazing Dutch festivals, and rolling them into one gargantuan weekend. While having a festival set in a safari park sounds a bit intimidating, I can say with 100% certainty that no lions will eat you while you're having your moment in front of the main stage. Well, let's say 95% certainty. BKS exploded onto the scene in 2013, and quickly started racking up the awards. If you a look over its past lineups, it's not hard to see why. 'Controlled chaos' is the only way to describe Distortion. 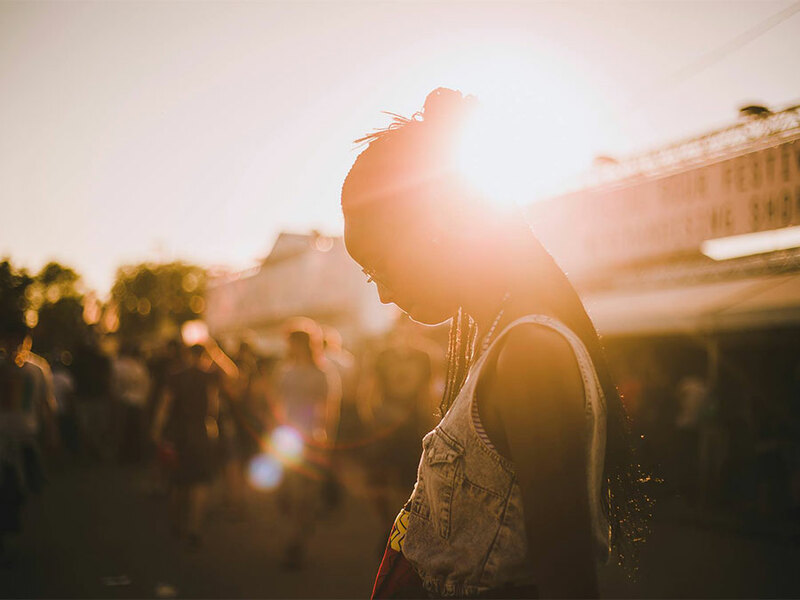 The festival is a celebration of street life and new dance music, so what else could it be other than a massive, 100,000 person strong street party? 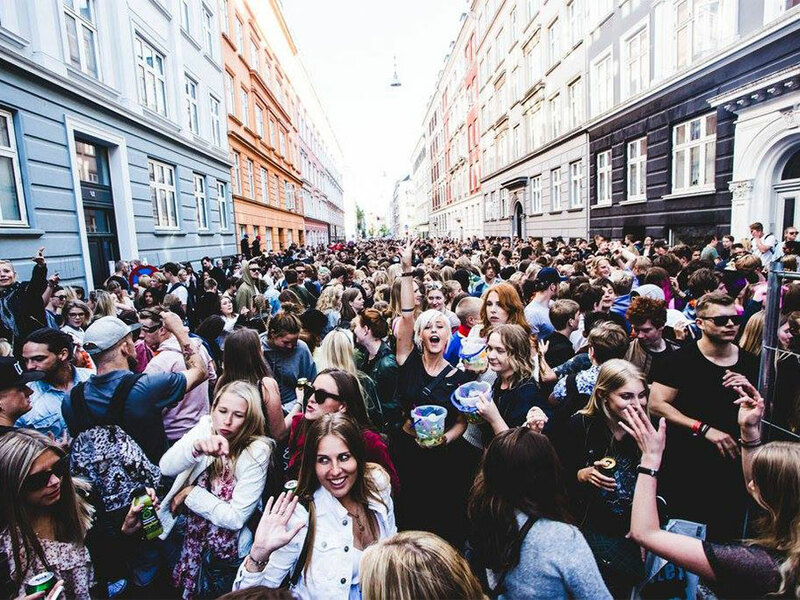 Split into three parts – Distortion Club, Distortion Ø and Street Parties – Distortion is a multi-facetted experience with varying degrees of premeditation. It's kind of like that movie The Purge, but instead of legal murder, it's all about legal partying. 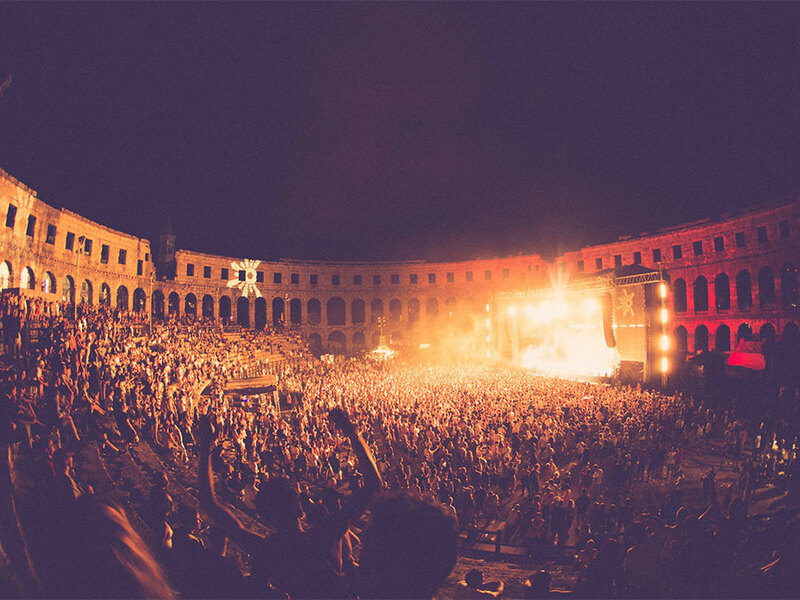 While it's probably fair to say that Europe led the way in terms of electronic music for a good while (despite its mostly American origins), the States have taken things to a whole new level over recent years when it comes to festivals. EDC is a prime example of this. Huge scale production, bombastic beats and an enormous crowd of dance music fans all losing their collective shizz. One of our favourite Croatian music festivals, Dimensions steers clear of the crowded Zrće beach, instead taking itself north to the unique and secluded Fort Punta Christo in Pula. 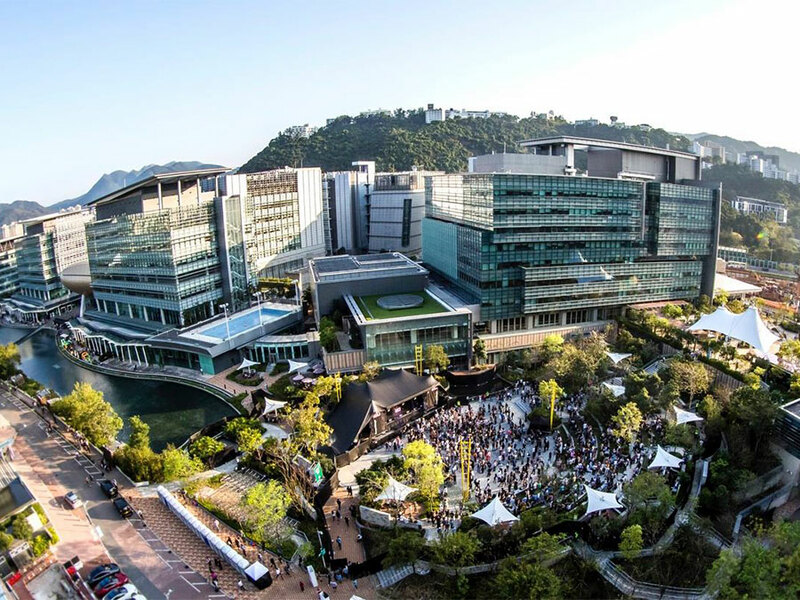 Here it showcases an underground electronic and urban lineup inside the fort's most intimate spaces, including its moat, as well as daytime sessions of the area's stunning beaches. Dimensions' sibling festival shares the same stunning location and passion for the electronic underground, but where it deviates is its full-blown commitment to celebrating soundsystem culture. That means reggae, dubstep, drum & bass, jungle, grime and garage are served up on a scale unrivalled anywhere in Europe. 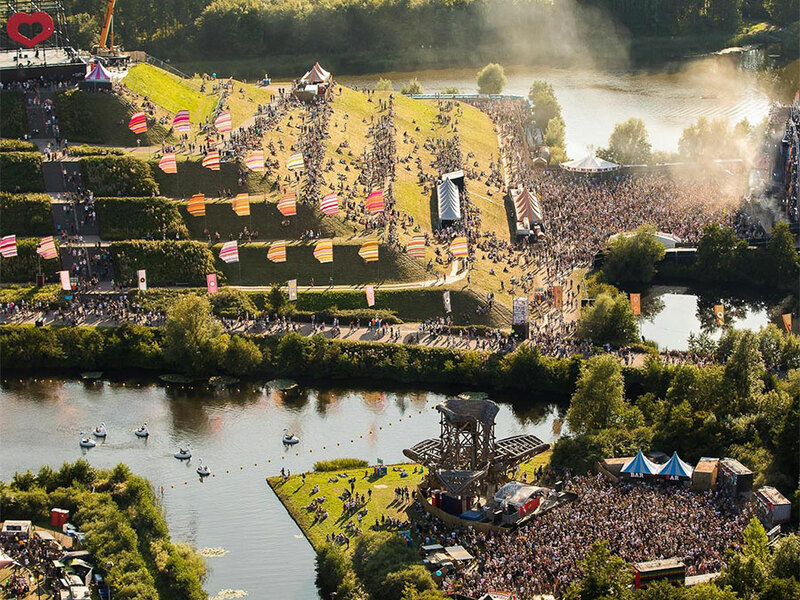 Awakenings' flagship festival is the largest open-air techno festival in the world, bringing those at the very top of the scene, as well as a fresh dose of the hottest breakthrough talent, to the lush green site just north of Amsterdam. Spread across eight stages, it's no wonder Awakenings has commandeered the title of the Dutch techno mecca. I know we may have said that Dour is the 'Belgian Glastonbury' earlier, but Rock Werchter would definitely have something to say about that. And rightly so. Established in 1979, the festival has won countless awards over the last four decades, including several for its absolutely huge lineups. Some festivals have a great lineup, others have a great setting. When you combine the two, you're onto something. That's Way Out West in a nut shell. 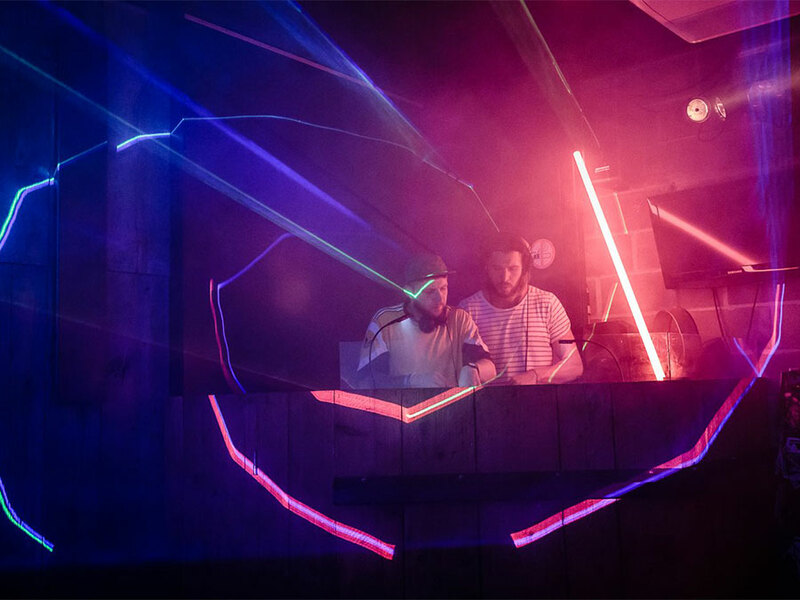 Add in the Stay Out West concept, which keeps the party going well into the wee hours of the night throughout the clubs of Gothenburg, and you have a reliably great festival. It may not have all the bells and whistles of some of the bigger budget festivals, bit it's always a great time. 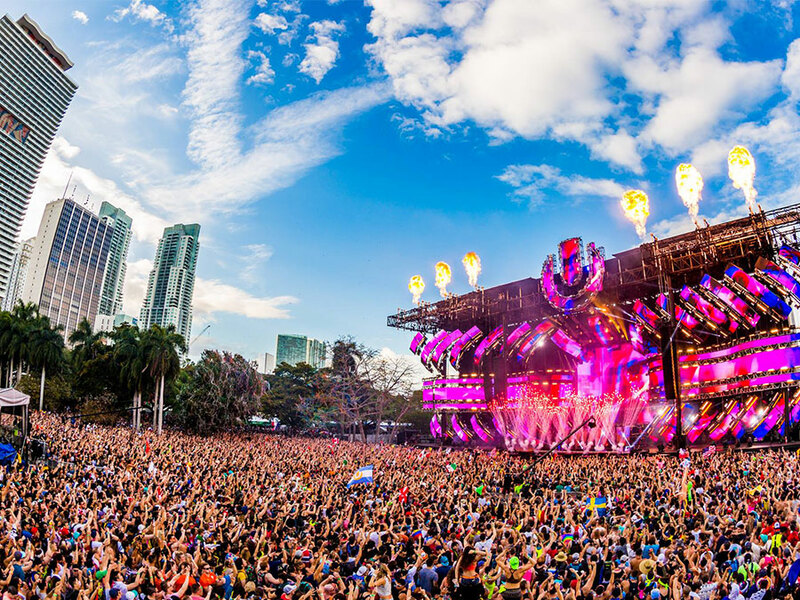 The Ultra brand may be known around the world, but its Miami showpiece still feels like the holy grail for EDM and big-room house fans. There are not many festivals that see 165,000 people pack into a city park every year to party, transforming it into a dancefloor like no other. 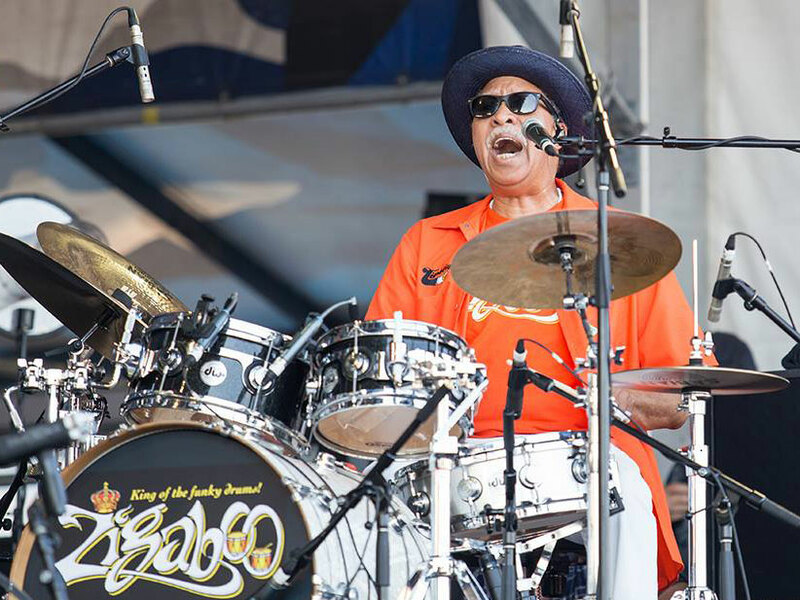 Few festivals mean more to their community than New Orleans Jazz & Heritage Festivals. 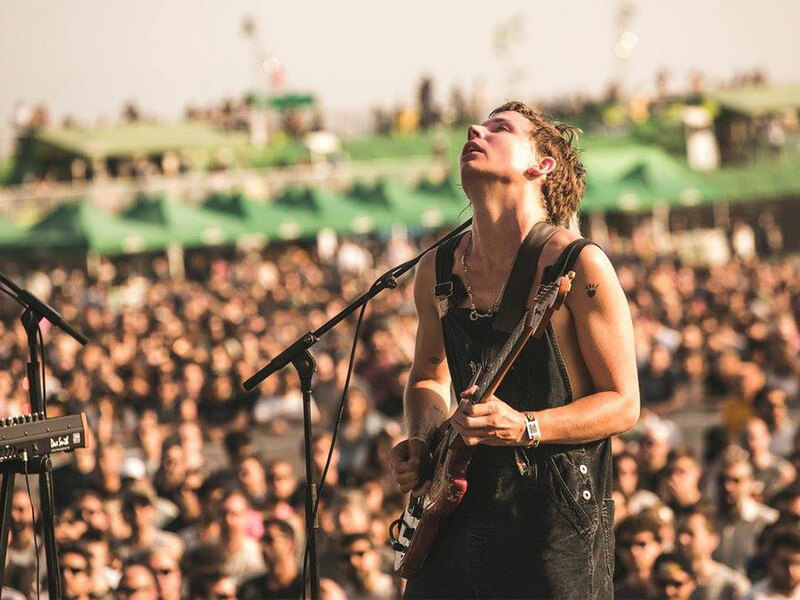 Dating back to 1970, the festival is a complete cultural experience reaching well beyond the music. A rigid, stuffy affair this is not: Jazz Fest has expanded its purview over the years, growing alongside one of the most vibrant cities in the world. At the forefront of the underground, DGTL balances its uncompromising passion for cutting edge sounds and visual arts with its equally impassioned green initiatives. 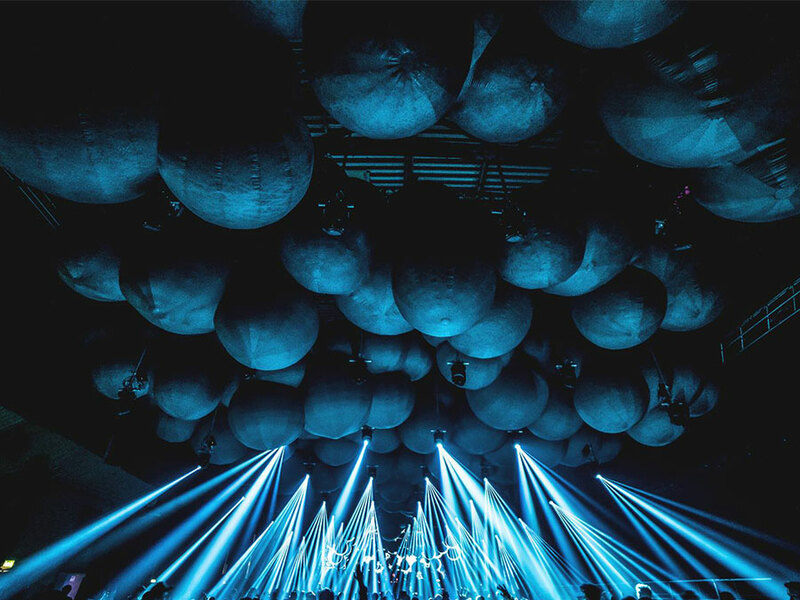 The concept has clearly worked as the festival has struck a chord with the dance community, resulting in added editions in São Paulo, Barcelona and Tel Aviv.